My reading today was from John 19:23-42. Wow, what a “ho-hum!” Just another day’s work in the life of a Praetorian Roman soldier. 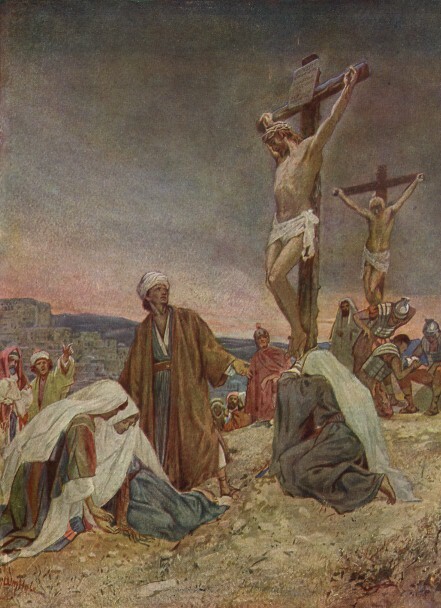 Their eyes were down, intent on His things, greed in their hearts, lusting with their eyes, jovial in their competitiveness… all the while, the Son of God hung above them, bearing their sins and the wrath of God Almighty for their sake. Unmindful were they of the pain and anguish and the drops of blood silently hitting the dust. It was His life in His blood shed for them, and they didn’t see or understand. The sin-debt for mankind is PAID IN FULL! The reason for his birth as a man and the suffering He endured is fulfilled. His mission is complete. He has glorified His Father (In three days, the Father will glorify the Son!). A Soldier: “Let’s make sure. We don’t want to get in trouble for not doing our job.” He thrust his sword up under Jesus’ rib cage and into his heart. Blood and water came out, proving the Creator of the universe, the perfect Son of God, the Giver of all life… was already dead. It was just as Scripture foretold, John explained. Jesus was lifted up on a tree (crucified) and pierced (with thorns, nails, a sword); and dead by the foreknowledge and will of God. Joseph and Nicodemus carried Jesus’ dead body to Joseph’s nearby, never-used, garden tomb. They wrapped it in linen cloths, tucking in 75 pounds of myrrh and aloes that Nicodemus had brought. Then rolled a stone across the entrance. 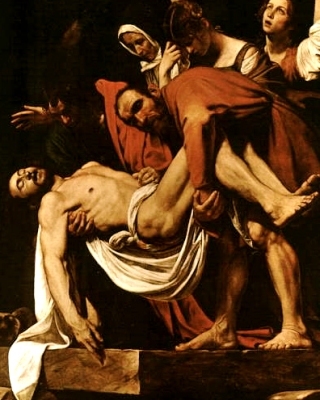 Believe the truth – against all understanding – that the sinless Jesus bore your (my) sins on himself, and that the holy, righteous, just Almighty God crushed and killed him for those sins (instead of killing us), that the sacrifice Jesus made was ENOUGH punishment – once and for all time, for all who would believe.